There has been this korean trend about contouring. We used to think that contouring is more of an European or Westerner makeup style, but it seems like the Asians are also picking up this trend! There's still some difference though. Instead of contouring the face to those of a sharp jawline and a more 3D face, Asians focus their contouring more on the nose. 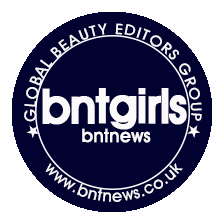 With such a trend picking up, it's no wonder more and more beauty brands are coming up with cosmetics that help with contouring! 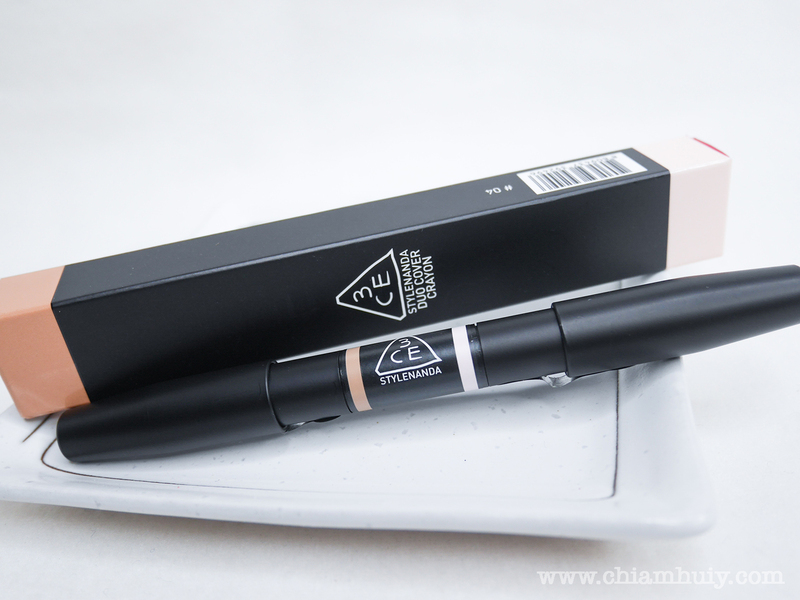 Today's review will be on Stylenanda 3CE Duo Cover Crayon, a makeup item that serves the very purpose. 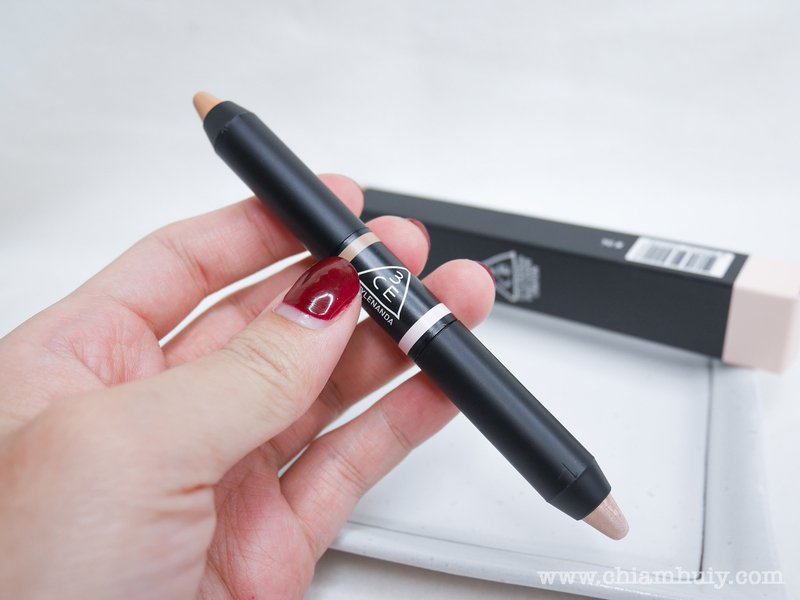 Comes with two ends - The dark beige for contouring and light concealer for highlighting. I know the latter has the word 'concealer' in it, but I certainly don't think it's suitable for concealing because it has shimmers in it. Obviously can't conceal areas like pimples and dark circles, it's just horrendous. Anyway, sorry for digressing. Basically, despite the name concealer, it acts as a pretty decent shimmery highlighter! The shimmers aren't too overwhelming or loud, so it's great for areas like the tip of your nose, brow bone and the top of your cheek bones. I foresee lovely results from this highlighter. 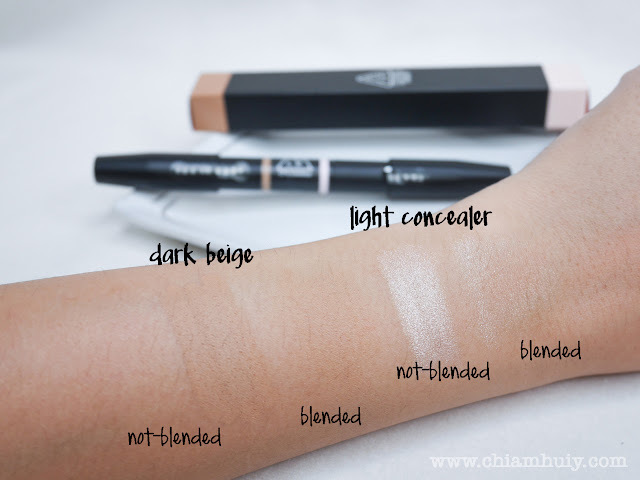 I would say the Stylenanda 3CE Duo Cover Crayon is a good item to bring out if you really love the idea of contouring. It comes with duo functions so it's very easy to bring around. Doesn't take too much space too!